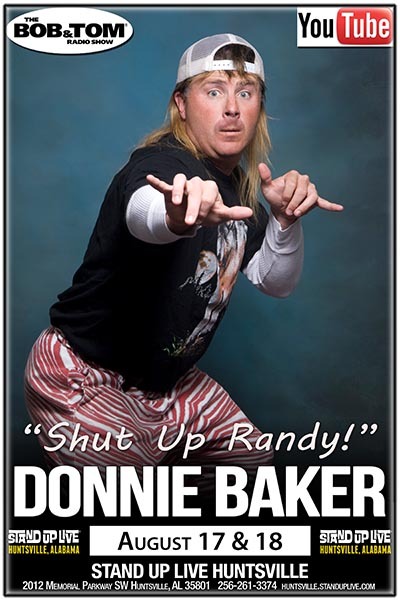 Donnie Baker: You hear Donnie every morning on the nationally syndicated radio program "The Bob & Tom Show". Now, you can see him live! He'll tell you stories about all the characters in his life that you have come to love, like his boss Randy, his best friend Scotty Winkler, his ex-girlfriend Angel Skinner, and of course his mom Phyllis. There's no live show more entertaining than a Donnie Baker show. Get your tickets now!